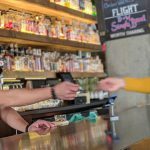 Nightclub and bar crawls aren’t a new concept, but they are growing in popularity amongst consumers and venues alike. And getting involved in a crawl can offer your venue many short and long term benefits. Here’s how you can capitalize on this trend and experience a successful crawl. 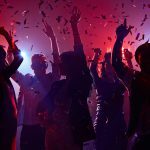 Being involved in a nightclub or bar crawl offers many benefits, but one in particular stands out: increased exposure. When you’re a part of a larger event, you get exposed to more customers without putting time and money behind marketing dollars. Most of the time, the organization putting on the crawl does the marketing efforts on your behalf. In fact, there isn’t a ton of extra work on your plate to participate in the crawl beyond staffing the night appropriately. This allows you to make more money without doing extra work. Plus, this third-party marketing exposure is a great way to get in front of a target market that may not typically come to your venue on a regular basis. And with this a properly staffed event, you could provide these new guests with a great first-time experience and convert them into repeat customers. It’s always a good idea to be the starting point of the crawl or the venue that’s in charge of registration. This way, you know you’ll see the most people from the crawl and you’ll have a greater chance of collecting guest information upon initial check-in to later use for your ongoing marketing efforts. It’s easy to get involved in a nightclub or bar crawl. Most organizers are on the lookout for venues to be a part of their event and will ask you to join if they’re in your vicinity. If they aren’t, look into crawls that you could potentially be a part of and ask to join in. Another option is to put on your own crawl as bar owners. In this scenario, you would work alongside neighboring venues to put on a larger event. 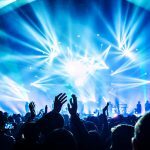 While this would be more work for you, you would get the added benefits of controlling the specials, knowing the operations behind the crawl, keeping the money from pre-sale tickets, and owning all the customer data behind the event. Plus, you could potentially get liquor or other vendors to sponsor, which alleviates the upfront capital to put on the crawl. It’s a bigger project to put on, but with a bigger return on revenue and data. While there are benefits to being involved in a crawl, there are also downfalls if you’re not set up for success. The most important aspect is staffing appropriately. I’ve been a part of these events where the venue didn’t accommodate for an influx of customers, and the customers a part of the crawl weren’t easily able to get a drink during their stay. This will immediately give a negative first impression, and they’re not going to think to blame it on the crawl organizer. They’re blaming their experience on you. The chance of them ever coming back to your establishment is slim to none. Also make sure you communicate with your staff what’s involved in being a part of a crawl. Are there drink specials they need to be aware of? Do they receive something for arriving at your venue? Is there a cover discount? Know what’s involved so you can serve them appropriately. Finally, makes sure you understand your own business and your popular times with your regulars. One venue I work with chose not to participate in a popular crawl on a Friday night since the crawl required free entrance. Fridays are their most popular night. They have no problem selling out with people paying cover to get in and full priced drinks at the bar. Participating in this Friday night crawl would have deterred their regulars and likely hurt their typical Friday night sales. However, they recognized being a part of a different crawl on a different night was beneficial to bringing in new clientele and bar sales they likely wouldn’t have received. It’s possible to reap the benefits of this nightclub or bar crawl trend. It all comes down to knowing your business, understanding your customers, and knowing how to set yourself up for success to convert those customers into repeats.